In a statement released through his social media accounts, the 36-year-old said he felt he had achieved everything in the game and was ready to hang up the gloves. 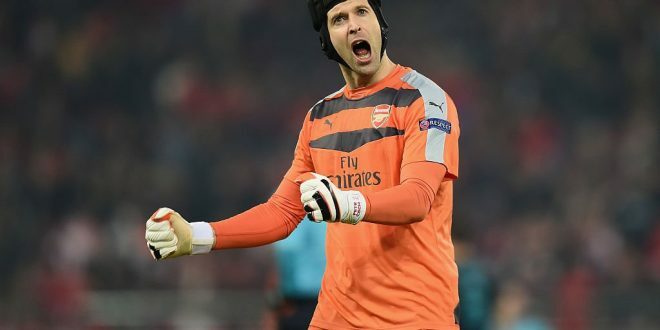 The Arsenal keeper, who joined from bitter rivals Chelsea in 2015, holds a number of records in England’s top flight including most clean sheets (161) and longest streak without conceding a goal (903 minutes). He was crucial to Chelsea’s dominance during the mid 00s until his transfer to Arsenal, helping the Blues win four Premier League titles, four FA Cups and a Champions League trophy. Cech also lifted the FA Cup with Arsenal in 2016/17. He will retire as one of the most decorated and celebrated goalkeepers to ever play in Europe.